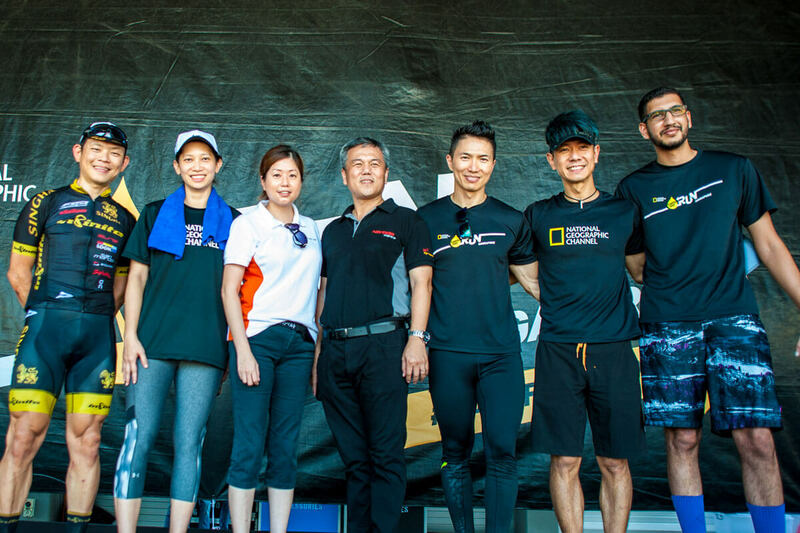 Singapore, 07 April 2016 – PacificLight Energy Pte Ltd (PacificLight), a Singapore- based electricity retailer, is proud to be a key sponsor of Singapore’s first-ever National Geographic Channel (NGC) Earth Day Run on 17 April 2016. Along with Singapore, four1 other major cities will race together to raise regional awareness for climate change and support local environmental advocacy. From noon on 16 April, more than 300 cyclists, including SEA Games cyclists, pro and elite athletes as well as social cycling group members, will take turns on 25 dynamo fitted, kinetic bicycle units to complete a 24-hour cyclothon, generating at least 33,000 watt hours of power. If successful, the cyclothon will break the Guinness World Record (GWR) set by Hong Kong Polytechnic students in 2014. Part of the electrical energy generated by the cyclothon will be used to power a movie marathon that has been sponsored by PacificLight. PacificLight’s commitment towards environmental sustainability is strongly reflected within the organisation. Our state-of the-art power plant has been successfully registered under the United Nations Clean Development Mechanism (CDM) and is the largest project in Singapore and the only power plant registered under the CDM. CDM recognises projects that contribute to sustainable development and emissions reduction by enabling registered project activities to earn Certified Emission Reduction credits, each equivalent to one tonne of CO2. These credits can be traded and used to meet emission reduction targets. In conjunction with the Renewable Energy Corporation (REC), a leading global provider of solar energy solutions, PacificLight is the first energy retailer to provide customers with a hybrid energy solution that incorporates solar power. Launched in 2015 and known as the “PLEdge to RECharge Green Energy Program” the scheme provides customers in Singapore the ability to adopt solar power to meet their energy needs in conjunction with electricity generated by natural gas.